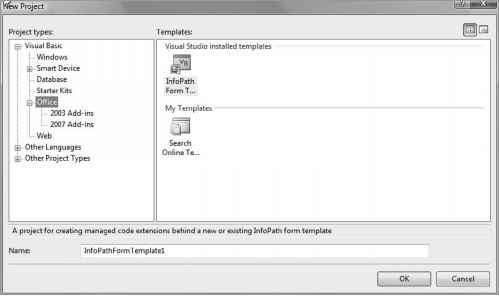 We can't code directly in the Excel 2007 VBE to use .NET components, but we can download tools from Microsoft that will let us create Excel projects from within Visual Studio 2005. VSTO and VSTO SE each come with a suite of tools that allow us to access various functions within an Excel project. Figure 9-4 shows the Visual Studio 2005 New Project dialog box for Microsoft Office 2003 projects from the original version of VSTO. 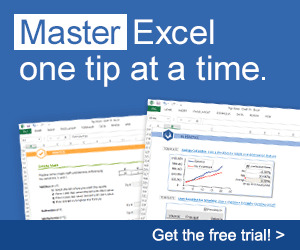 | A project for creating managed code extensions behind a new or existing Excel 2003 template. VSTO SE adds some new project types to the toolbox, as shown in Figure 9-5. VSTO SE provides us with two new project categories, Excel 2003 Add-ins and Excel 2007 Add-ins. It adds an InfoPath template project to the Office menu, as shown in Figure 9-6 (which shows the Windows Vista interface). Note If you already have VSTO installed, you can safely add VSTO SE. The existing Office 2003 project types will still be available. The new project types of VSTO SE will be available in addition to the original project types. Figure 9-7 shows the VSTO SE Office 2003 Add-in projects available in the New Project dialog box. Another new project category containing Office 2007 Add-in projects is also added. The new selections are shown in Figure 9-8. 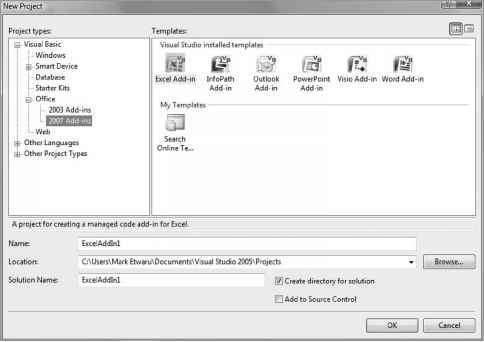 VSTO is no longer available, but if you have a copy, you can still write code for Excel 2003 that will run in Excel 2007 Compatibility mode. 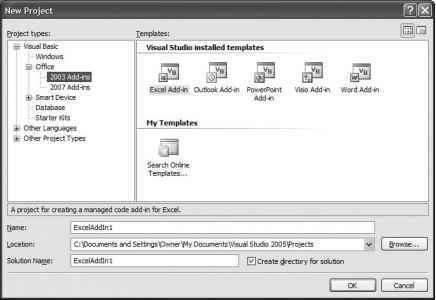 VSTO SE provides add-in programming only. Note VSTO SE is available as a free download from Microsoft at www.microsoft.com/downloads/ details.aspx?familyid=5E86CAB3-6FD6-4955-B979-E1676DB6B3CB&displaylang=en (if this link fails to work in the future, you can search the Web for "VSTO SE").